Occasionally, we’ll share guest posts from our community of fellow RedMeat Lovers….there’s a lot of great cooks out there who have something to share. 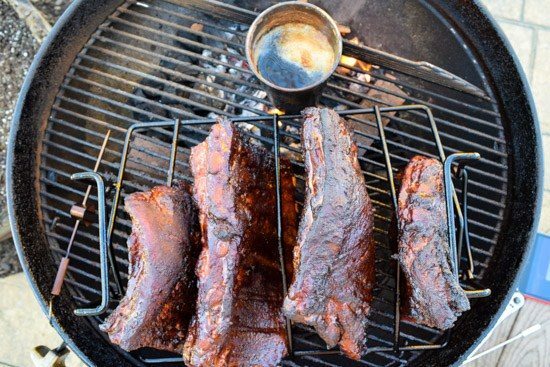 So today we’re sharing an awesome BBQ Ribs recipe (Competition Style) from the BBQ Brothers over at cutsandcrumbles.com. This means that after 2 to 3 hours you wrap your ribs in foil with a little bit of liquid and put them either back on the smoker or into the oven. You can use the oven since they are wrapped and additional smoke won’t make any difference at this point anyway. This can knock an hour or so off of your cook time with the sacrifice being the outside (or bark) won’t be quite as crisp and pronounced as if you left it unwrapped the whole time. The Texas Crutch will also make your ribs more tender and fall off the bone, if that is what you’re after. So how do you know when your ribs are finally done? Unlike almost any other BBQ, internal temperature doesn’t help us too much because the bones are so close to the meat that they mess with the probe. 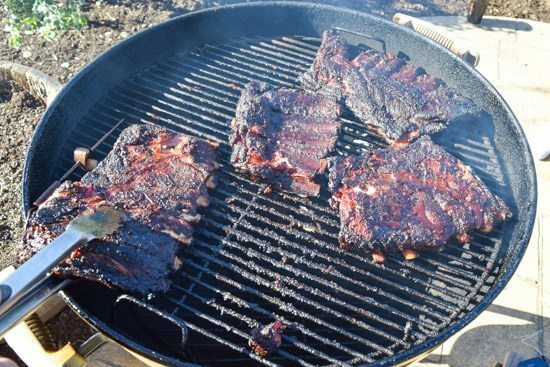 Again, check out the BBQ Brothers for this BBQ Ribs recipe (Competition Style) and other recipes!